Ever wonder why one third of all Americans get cancer at some point in their lifetime, even though hardly anyone got it a century ago? How about leukemia, do you think it’s hereditary? You would be dead wrong. A common ingredient in soft drinks and most jarred peppers and pickles causes leukemia, but no medical doctor in America has been authorized to talk about it, and most of them have no clue anyhow. Sodium benzoate is made by mixing sodium hydroxide with benzoic acid, which gives it highly destructive, solvent qualities. In Europe, the media is screaming to ban this toxic “preservative” as it may be interfering with normal development of children. The U.S. mass media, of course, won’t utter a word about it. Scientists fear conducting research on sodium benzoate, as they might get “suicided” by Big Food and Big Pharma, as so many cancer researchers, holistic doctors, and vaccine researchers have encountered. That’s so you’ll feel safe and cozy when your brain ingests those happy slogans, but what your body is attempting to digest is a dangerous concoction that’s been synthesized in a laboratory using chemicals. It gets even worse. When sodium benzoate is combined with vitamin C or E, benzene is formed. That’s where the leukemia kicks in full gear. At the cellular level, sodium benzoate deprives mitochondria of oxygen, sometimes completely shutting down the “power station” of your cells. It’s programmed cell death, and when cells are deprived of oxygen, they fail to fight off infection and disease, including cancer – the mutation and uncontrolled division of cells. Check your salad dressings, jams, soy sauce, vinegar, fruit juices, salsa, dips, shredded cheeses, sodas, mouthwash, toothpaste, cough syrups, and hundreds of cosmetic products for the known toxic agent and carcinogen sodium benzoate. It’s the cheapest mold inhibitor on the market, but it robs the human body of essential nutrients, thus aiding and abetting chronic neuro-degenerative diseases like Parkinson’s and Alzheimer’s. The chemical-laden-food industry of the U.S. is well-protected. No research has been done by the FDA to protect consumers from cancer-causing additives and preservatives in foods, not even on nitrates and nitrites (the latter being the number one group of cancer causing additives). Sodium benzoate is especially dangerous because it destroys parts of your DNA. It specifically attacks the mitochondria – cells that use oxygen to produce energy. Mitochondria control the cell life cycle and cell growth. U.S. federal safety rules limit benzene levels at 5 ppb (parts per billion) in drinking water, but for some unknown reason (money), manufacturers of sodas are immune to this safety regulation. Some soft drinks are jacked up with more than 100 ppb of benzene, and that’s twenty times more than the maximum “safe level” for humans, even though no level is safe for consumption at all. The dangers of sodium benzoate consumption have been well-known since the early 1990s. But hey, if you “feel like drinking a diet soda” just do it, because your insurance will surely cover the chemotherapy wich is also known to kill cancer patients even faster than if they had no treatments. Atleast Read the labels on everything you buy. Know the toxins. Don’t eat cancer! 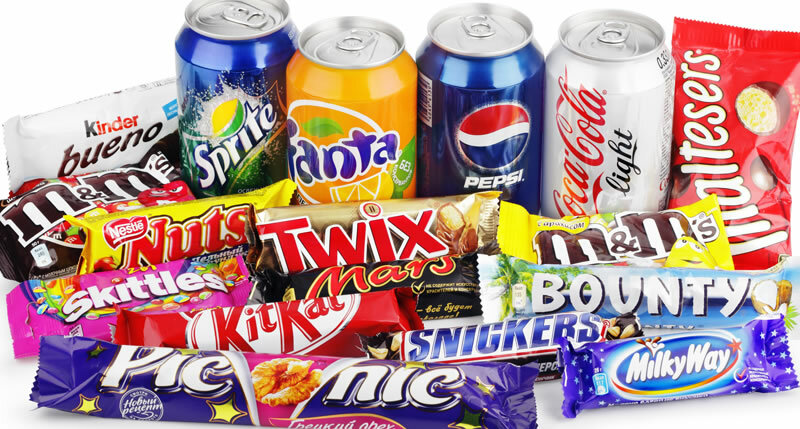 Avoid sodium benzoate, aspartame, sucralose, and canola like the plague. We have to stop buying these industrial chemical foods and go back to raw foods. Grow your own veggies, your own fruits if you have a garden or buy local. This is the best solution. So you will know where your food come from and that it is not filled with GMOs and Other Toxic Products.